A trusted man is the best betrayer. 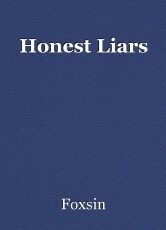 Honest men are the best of liar's. Always assuming that they speak the truth. Your own thoughts a betrayer. Even feelings are such liar's. Yet only recognizing that you're unaware. You can always predict the liars. A liar is easy to trust because they never speak the truth. Predictable as long as your never unaware. You can always count on a liar to be the betrayer. How long can you hide?